Dress up your cute little girl in this adorable Toddler Rabbit Skins Ruffle Fine Jersey Tee! This is perfect for all occasions. Dress her up for her birthday, a party, holiday, and more. Customize this comfy tee or pick your favorite design. Great for school or play! 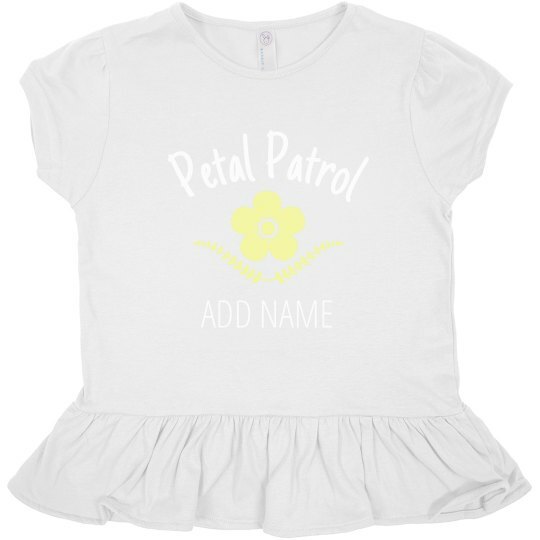 Personalize an adorable t-shirt for the flower girl in your wedding! Add her name to give this tee a custom look. Surprise her with this super cute and sassy top. Petal patrol!